"In the same way that for the past seven years people have projected themselves into the looks I’ve sold through Nasty Gal, I want you to be able to use #GIRLBOSS to project yourself into an awesome life where you can do whatever you want." It’s safe to say that in the world of business and entrepreneurship, everyone loves a good success story. It is an inherent part of the culture and folklore of the industry. 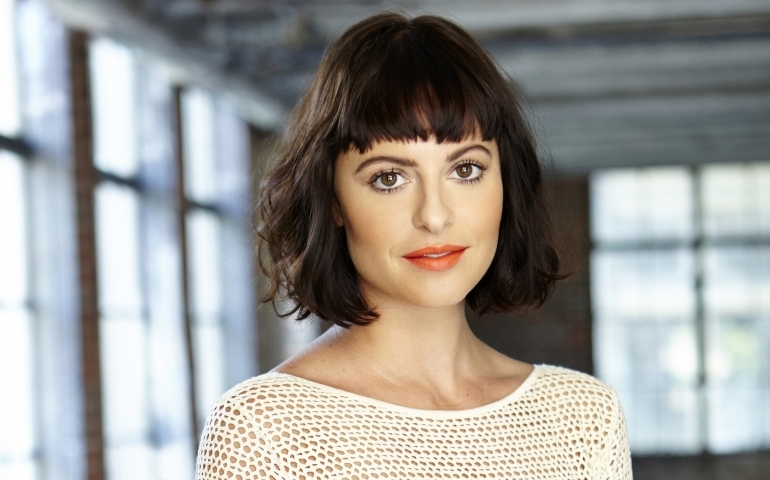 But Sophia Amoruso’s story to success as the founder, CEO and Creative Director of Nasty Gal is different. Amoruso was a would-be criminal and drifter in her late teen years, trekking up the pacific coast and back to eventually land in San Francisco. Through her tale of her younger years and general disdain for “the Man” and capitalism, it’s a somewhat endearing and ironic turn of events that she now does what she does. Amoruso started Nasty Gal eight years ago as something of a hobby, selling vintage clothes. But over the course of the last eight years, it’s grown beyond just selling vintage to selling major brands and having their own label, making it a $100 million company and one of the fastest growing online retailers. Amoruso may have never set out to be an entrepreneur, but now that she has found success she is bringing a different type of story and role model into the spotlight for girls and women. "As a #GIRLBOSS, you take control and accept responsibility. You’re a fighter – you know when to throw the punches and when to roll with them. Sometimes you break the rules, sometimes you follow them, but always on your own terms. You know where you’re going, but can’t do it without having some fun along the way. You value honesty over perfection. You ask questions. You take your life seriously, but you don’t take yourself too seriously"
From Amoruso’s point of view, being a #GIRLBOSS is all about being in charge of your own life and accepting responsibility. In today’s prescribed society, whether or not you’re an entrepreneur, we often surrender both of those things without really recognizing it. Amoruso is calling women to come back to the helm and to not be afraid of running the show. She also continuously demonstrates one of her core values – don’t be afraid of hard work – and how that can make or break you. In this sense, it’s all about making things happen, not waiting for them to happen to you. One of the things that is especially valuable about #GIRLBOSS is that Amoruso is not just writing to the entrepreneurial crowd. She’s gone out of her way to make her advice and story applicable to women of all walks of life. 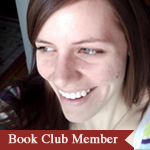 Throughout the book she discusses several areas of life including finance, creativity, responsibility and management. In each of these areas, Amoruso shows that owning a multi-million dollar company is not a requirement to be a #GIRLBOSS. In fact, being a #GIRLBOSS is just about being the best version of yourself and living your life for you. "Your challenge #GIRLBOSS is to dive headfirst into things without being too attached to the results. When your goal is to gain experience, perspective and knowledge, failure is no longer a possibility"
It’s a well-known fact that a lot of start-ups fail. Additionally, throughout the course of our individual lives, there will undoubtedly be times when things don’t go as planned. While we can be deterred or find ourselves wallowing for days on end, Amoruso suggests that we can shift our mindset towards failure. She encourages us to let go of the traditional definitions of “success” and “failure,” to self-prescribe and self-subscribe from cultural norms. Think about your last goal. Why did you set it? How did you define success? Why did you choose to mark the fulfillment of the goal as a “success?” Amoruso says that there’s more to life than just success and failure. We could choose to see it as gaining experience, new perspective and knowledge. This outlook provides a much needed balance to our pursuits. "A lot of people run their businesses like their customers are dummies. This is a mistake. If you’re just out to take their money, they know it. But if you genuinely care about what you’re doing, they will respond." This is the insight that’s woven throughout the book in Amoruso’s anecdotes. Customers are the building blocks of a business and all too often, they get the short end of the stick. She tells a lot of stories from the early days of Nasty Gal when she was using social media to connect with customers and build relationships with them. It seems like the obvious and natural thing to do because it builds community and loyalty, so why aren’t more businesses focusing on this? Rule #1: Just do a good job. Customers always have a choice as to where they can shop, so it’s important to make them feel like their experience was worth it. This intangible value shines through in the little things like brand, photographs, copy, customer service, etc. Rule #2: Keep your promises. Deliver exactly what you promised people in order to meet and exceed their expectations. Rule #3: Give your customers something to share. Always have compelling content to share with your audience so that they can become your best marketers. It’s clear that Nasty Gal’s success is rooted in Amoruso’s ability to be uncompromisingly and unapologetically herself. While their industries or other forces shape many people, Amoruso holds steadfast to basic principles and continues to grow.